The Joint Commission is implementing three new elements of performance (EPs) pertaining to maternal infectious disease identification and prevention, according to an R3 Report. The EPs, which take effect July 1, 2018, are applicable to all Joint Commission-accredited hospitals and critical access hospitals that provide obstetric services, specifically labor and delivery. 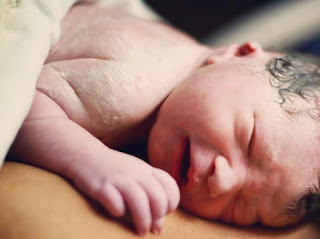 The Joint Commission stated that the EPs are "…designed to improve the identification of mothers upon admission to labor and delivery who are at risk for transmitting certain infectious diseases to their newborns so that the mother and/or the newborn can be treated promptly to prevent harm." Note: Because GBS test results may not be available for 24-48 hours, organizations may elect not to perform this test but instead administer prophylactic antibiotics to the mother. EP 16: For [critical access] hospitals that provide obstetric services: If the mother tests positive for HIV, hepatitis B, GBS or syphilis when tested in labor and delivery, that information is also documented in the newborn's medical record after delivery. "The requirements will help improve maternal and neonatal health in Joint Commission accredited hospitals and critical access hospitals across the country," said Kathy Clark, MSN, RN, associate project director specialist, Division of Health Care Quality Evaluation, The Joint Commission, in a news release. "If left undiagnosed or untreated, infectious diseases can be extremely dangerous and even life-threatening, so it is critical that testing and treatment for both the woman and baby is completed according to clinical practice guidelines."